We had thought that Newcastle would have a poor case for bringing in another goalkeeper on loan – and we covered the reasons in our article yesterday – and now Newcastle could pay dearly for not having three experienced goalkeepers in our squad this season. 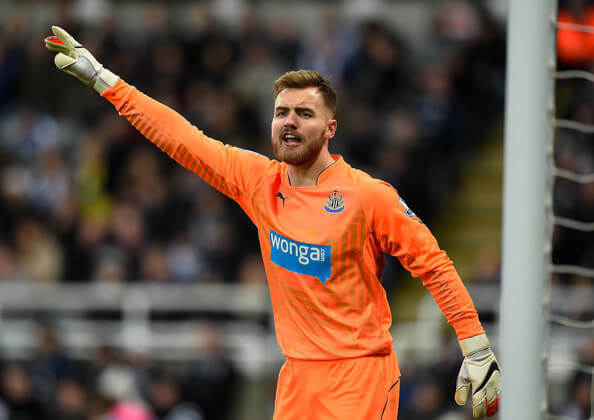 Most Premier league clubs have three experienced goalkeepers they can call on, but Newcastle don’t and now there will be a lot of pressure on young Jak Alnwick to get the job done. But in the worst case if Jak doesn’t play well (we hope he does) – Jak is not the one to blame for this – it’s Newcastle’s lack of planning. I always thought when I was at IBM that if you plan for something thoroughly enough – it will never happens – and the corollary of that is also true. So when you only have two goalkeepers on the books the chances are – its called Murphy’s law – is the two goalkeepers will have more chance of getting injured – which is exactly what’s happened. One version of Murphy’s Law – if something bad can happen it will – and at the worst possible time. In Newcastle’s case we have lost our two experienced keepers at the beginning of December – which is the busiest month of fixtures in the Premier League – and we also happen to have a semi-final of the Capital One Cup – so you see what I mean. The Premier League have confirmed the club is not eligible for an emergency loan, because we have three fit goalkeepers still on the books in Jak Alnwick, Freddie Woodman and Karl Darlow. Of course Karl Darlow can’t play for us because he is contracted to a season long loan deal at Nottingham Forest, and before Saturday the two other goalkeepers had no Premier League experience at all. Jack now has 45 minutes of PL experience. 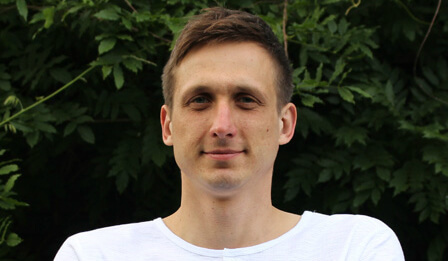 The top clubs always have three experienced goalkeepers on the books – with the emphasis on experience – and they have played a number of games in the Premier League. Chelsea’s third goalkeeper is Mark Schwarzer who has over 500 Premier League appearances – just as one example. It’s a pity Newcastle did not stipulate in Karl Darlow’s loan deal with Forest, that if both of our goalkeepers got injured he could return to play for the club – but that’s all in retrospect. Tim Krul and Rob Elliot are out until January so that’s a minimum of six games Jak will have to play for his home town club – and notice that even if Jak gets injured Newcastle would still not qualify for an emergency loan deal. This is nothing less than poor planning and poor preparation by Newcastle. However, on the bright side Jak showed he can get the job done and certainly got off to a good promising start on Saturday, and in his first 45 minutes for Newcastle we beat Chelsea 2-1. Jak will get terrific support and encouragement, not only from Alan Pardew and the coaching staff – but also from the Newcastle fans – and it’s also a terrific opportunity for the 21 year-old to show what he can do for his home town club. I think it’s a good thing our young goalies are getting a chance, 21 isn’t all that young to be making your first start. Remember Timmy coming in against Palermo, he was a few years younger. Ed…Come on now, we can’t even get enough decent cover at CB, let alone GK. Of all the positions at NUFC, GK is probably our best covered. CB and ST before we start thinking about bolstering other positions. Losing our first 2 goalkeepers is simply bad luck imo. Haven’t posted in a while, so thought I’d add that I’ve been pleased with how the team have been performing…long may it last. Have to say though, damage has been done and I am waiting for the next club episode to unfold. A negative way of looking at things perhaps, but sadly, it’s what this regime has done to me – I never used to view our club this way. Still, the last month or so has been a relief, even a joy – bring on Arsenal! sorry but thats rubbish lol. so most other teams have 3 experienced keepers do they ? we have krull with elliott as back up and to fill in when he’s injured and then we have alnwick as the next youngster hoping to break through ! thats plenty enough for any team and about the right balance also apart from elliott would have been better quality in the ideal world (which we will have when darlow comes next season) and krull would have learnt how to kick a ball. but extra from that is woodman who’s way advanced for his years tbh (not that he’s ready just yet but if he does play it could make him a better player hopefully. and ofc darlow next season but tbh i kind of hope someone makes way for him as i wouldnt be happy with 4 keepers taking up spaces in the squad. it’s called the regime, cut every corner possible, save every penny possible, take a gamle on our future, not forgetting sell best players to boost profits. I’m a bit disappointed with your article Ed. You usually have a more balanced view of the club’s business. You mention Schwarzer as your example. I’d bet that’s only because he has been linked with us for the last few days. I would challenge you to name more than a couple of any other club’s 3rd choice keeper though. And I wonder how you would expect to keep a quality keeper happy in the hope that he might get a game as a number 3. Be realistic. This could prove to be just the break Alnwick, needs to kick start his Newcastle United, career and prove to Pardew, he deserves a new contract. Still a miserable sod Ibiza. This season has seen a good crop of youngsters step up and grasp the opportunity to show off their skills; young Alnwick, can also join the likes of Aarrons, Perez, Sammy, Armstrong, in the first team. It’s very unlikely that both your goalkeepers would get injured at the same time to be honest. It’s just really bad luck/ rather than lack of planning. Anyone would think that Jak Alnwick and Freddie Woodman were a pair of complete numpties – they are anything but. I’m sure they will try and prove the Manager (and a lot of fans) completely wrong. They are our future, good luck to them both. I’d rather we stuck with the young lad than sign a 3rd choice goalkeeper who’s best years are well behind him. Alnwick, showed against Costa, he isn’t fazed by big time charlie’s. “if” we was to get an emergency or a 3rd choice keeper (even though we have darlow next season) then imho i’d take a punt on butland ! he was amazing at the olympics but has gone off the boil now and being loaned out right left and centre ! could be a great signing to pounce on a bad situation and get the lad back in form and not sulking about being 2nd/3rd choice keeper as he will just be gratefull he’s wanted atm. i’m with you on the confidence in the youngsters it can never hurt to cheer them on and no matter who the player is as long as he’s in a toon shirt he will get cheered on. woodmans esp has been awsome for the last season ! yes the odd mistake but the good thing is the next game he plays you can tell he thinks not to do it again if he comes across the same thing ! alnwick again was awsome 2-3 years back and was expected to be the next shay given but sadly has gone well off the boil and against chelsea was prob the best i’ve seen him play for a long time ! but non the less was it just that he couldnt see a way to the first team so he gave up maybe ? he’s def got the talent if he chooses to use it. Why would they bring up Karl Darlow? He’s unavailable to play, and as far as I know, he can’t be recalled due to the loan agreement in the transfer. You can’t fault the club for not having three experienced keepers, we could still have Stevie Harper mind and have Alnwick out on loan, I would like someone like Given or Scarer on the bench mind in case of another injury or as I said before the young lad has a howler. He is 21. It is time to start playing. When is Krul back ? . I thought he was only a doubt a couple of weeks ago not long term . Can Ferreya play in goal? Maybe he can earn his wages there. Some will love this some will hate it, which ever side you sit it’s pure gold! @Big Pappa Cisse: 10th January according to Physio Room, but Pardew is putting his return in February. Aarons, Abeid, Ameobi, Armstrong and now Alnwick. Jak must be buzzing to have join the rest of the As. This is a massive risk, shoving an unexperienced keeper against arsenal, tottenham, sunderland and man united. I think we are perhaps not as close to a top six squad as we might hope, and perhaps even less close to settling on a top 6 style of playing. Is dropping off, holding your defensive shape, then breaking at pace something that is going to consistently gather sufficient points against all opposition and does it suit the squad when all players are fit, in particular players like Santon, DeJong, Cisse. Anita I think is already a casualty of this system, and I wonder if Pards isn’t in two minds, about the way he wants to set us up and play. Gan on Mickey lad, divina about CL but we can turn a few of the “bigger” teams owa! Things’ve changed a lot since Ed’s days at IBM. Business these days isn’t based on the ‘ideal’ planning and having all resources one might need available when needed. In these days of tight financial management, resourcing models are based based on having the bare minimum to hand. The bare minimum being based on a risk assessment. In this instance, sod’s law has prevailed and we’ve lost our two experienced keepers at the same time. Realistically, how likely is that to happen? Ashley budgets are fat-free and that’s the way he runs his businesses. As Ed says, Murphy’s (or Sod’s) law’s kicked in but in any event, young Jack’ll give his best and his all – nobody could ask for anything more. We’ve got four players in Garth Crooks team of the week. First time I’ve seen us have four. They’re the same four the Guardian had in its Team of the Weekend. Could Crooks be a Guardian reader? Great link optimistic mate @25. That’s Parsnip to a T. He struts his stuff when we win, then blames somebody, anybody else when we lose. Truly lost in his own mighty ego. The King trolls on. Brilliant comment @33 lesh mate. You know your Scroogley well indeed. Basel play some cracking stuff and have done for a while now . Would take their manager in a heartbeat . Also Fabian Schar is a beast of a CB and would love us to get him . Can’t see it happening like .